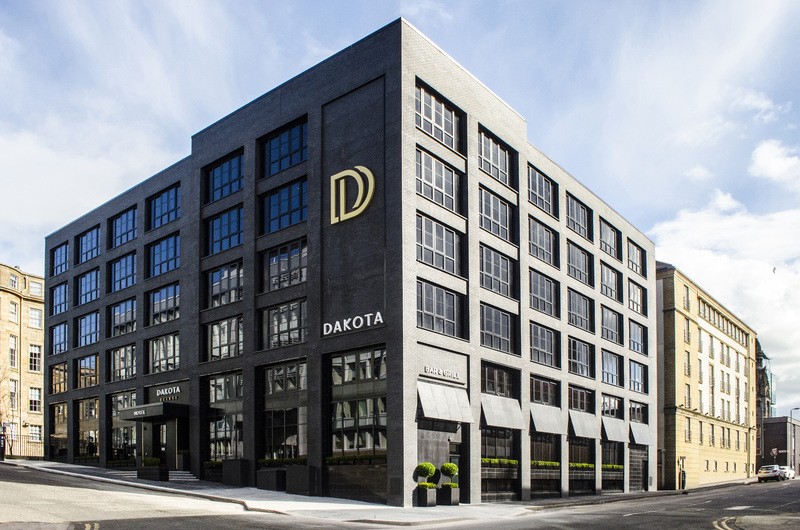 PMJ Masonry were proud to undertake the first of two Dakota Hotel projects for GMI Construction. The first hotel to be constructed was the Dakota Hotel – Glasgow which was then soon followed by the Dakota Hotel – Leeds. The Dakota Hotel – Glasgow involved the conversion of a former 1960’s office building to form an 83 bedroom boutique hotel. Rooms were constructed across the five upper storeys, including junior and premier suites along with a bar, terrace and restaurant. PMJ Masonry were tasked with cladding the ground floor with polished Chinese Black Granite. One of the challenges to overcome was the logistically complex site in Glasgow city centre.